The news comes more than five years after BofA rolled out Merrill Edge. 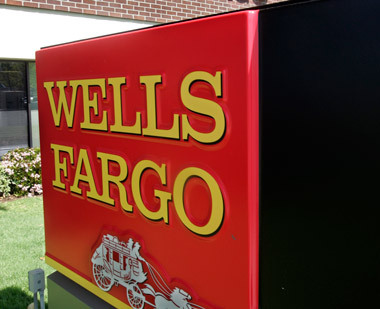 More than five years after Merrill Lynch (BAC) launched its robo-advisor platform for the masses, Wells Fargo (WFC) says it could be getting into the act. Wells Fargo CFO John Shrewsberry said during a conference call with equity analysts Tuesday, “There are a number of initiatives underway …” in wealth management. “At some point, it could even include a service or capability that competes with some of the robo-advisory people out there today who rely primarily on technology to construct portfolios and make offerings to customers,” Shrewsberry explained. The company, which includes over 15,000 financial advisors, declined to share any more details on the matter, and rival Morgan Stanley (MS) — which reports earnings on Monday — said it did not care to comment on whether or not it will move in this direction. The trouble for Wells Fargo, as well as Merrill Lynch, is that the automated-advisory field is becoming more competitive by the day. Earlier this year, Vanguard rolled out a robo-service that costs just 30 basis points and offers video chats with an advisor. And Charles Schwab (SCHW) recently introduced robo-offering for both advisors and investors on its discount-brokerage platform. Recent research from global analytics firm Cerulli Associates, such entrants are likely to make it difficult for existing robo firms to compete. “For [robo-advisors], imitation is a serious threat to their continued existence. These firms have rolled out innovative ideas, but the existing financial services industry has ample resources available to replicate the robo-advisor business model,” said Frederick Pickering, research analyst at Cerulli, in a statement. “Previously, many robo-advisors banked on the idea that financial firms were unwilling to duplicate their model for fear of upending their revenue. Wealth management firms responded to the innovator’s dilemma by building their own eRIA-inspired services,” Pickering explained. Not only are the business models of robo-advisors, which Cerulli refers to as “eRIAs” in its research, relatively easy to duplicate, but firms like Schwab and Vanguard have the resources to offer more services at a lower cost. When it comes to how the robo-offerings affect a firm’s ability to attract client assets, the jury is still out, as players rollout options by themselves or with strategic partners. Fidelity — which formed a partnership with Betterment in October 2014 — has the greatest share of retail-investor assets among those with less than $5 million to invest, according to Hearts & Wallets: 10.9%. Bank of America Merrill Lynch, including Merrill Edge, and Charles Schwab tied for the second- largest market share. Vanguard and Wells Fargo, including Wells Fargo Advisors, completed the top five.